How do you do event marketing after GDPR? There is a lot of confusion around still on how GDPR will affect B2B companies big and small, and what steps marketers can take towards making their data more compliant. This is something I have been particularly thinking about ahead of an event we are co-organizing with Kingpin next month, titled Digital Privacy in the B2B Landscape. Get your data sold to all sorts of vendors and affiliates of the organiser, whether you’re attending or exhibiting at said event. I am still receiving spam from events we exhibited at two years ago (and in spite of multiple emails asking not to be spammed further). Get landed with the business cards your sales team have collected and told to add them to the mailing list, regardless of whether the mailing list’s content is relevant or not. Yes, events were (and still are) goldmines, for filling up the top of the funnel, but as Maria Heckel reported at the #CIMDigital summit last September, tactics like this led 51% of consumers to feel their data has been misused, with 57% not trusting brands to use data responsibly. Gated content, where visitors will have to opt in to sharing their details in order to view slides, videos, reports, etc. These will probably feature an unticked checkbox giving permission to be added to a mailing list. Pop ups inviting visitors to add themselves to the mailing list on event-related content, such as blog posts. In all those cases, double opt-in should be applied to make sure the email wasn’t entered erroneously. This means that the visitors who have signed up, will receive a confirmation email, and be asked to confirm their subscription. Educate your sales team to favour social selling techniques over dumping new contacts into a mailing list. Buy them a copy of Tim Hughes and Matt Reynolds’ Social Sellingfor practical tips. Essentially, they should get into the good habit of connecting with prospects on social media, and creating and sharing content that develops them as a brand. Start auditing your mailing list now, particularly those for whom you don’t have traceable opt-in proof. Now is a great time to send them an email inviting them to confirm their subscription. This is often a positive way to renew contact with your prospects and clients. It might even be worth starting afresh to a new mailing system and list – a terrifying prospect for some, but one guaranteed to ensure your list only features engaged and interested readers. Create great content – by which I mean content that is actually valuable and useful to your audience. Think of every aspect of the event that will be of interest to them, and cover it in a variety of media and angles. Put some of this content on a gated page – slides and videos of the event in particular work well, but also reports from the event. 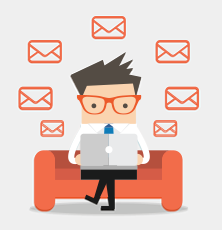 Create hyper-focused mailing lists, rather than one-size fits all. I.e if you are doing an event on cyber security, have a specific mailing list for cyber security content, rather than dumping them in a manufacturing mailing list. Have more ideas? Want more ideas? Join us on 4th April!